« This Fall falls under the sign of Small World! The world’s largest game convention – Essen Spiel – takes place in Germany this October 16-19 and Days of Wonder is debuting its brand new boardgame at Essen: Five Tribes. Other games and expansions are also available for the occasion! 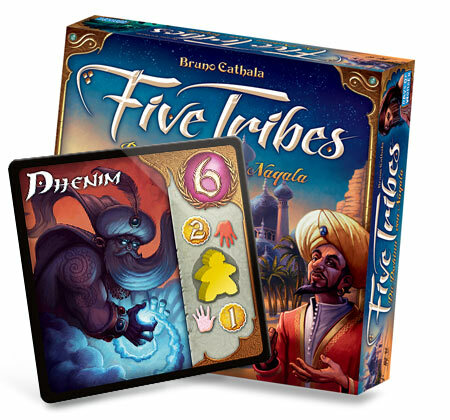 Five Tribes is already a tremendous success. Come discover the wonderful sultanate of Naqala with its Viziers, Elders, Merchants, Builders, and Assassins! A special portion of the booth will be dedicated to the game. Also, game designer, Bruno Cathala, and game illustrator, Clément Masson, will be here to sign your copy. Last, but not least, a special promo card will be available: the famous Djinn Dhenim! 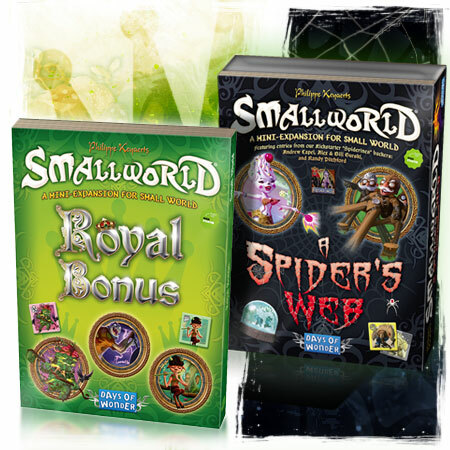 We are also introducing two new expansions for our classic Small World. A Spider’s Web introduces three new Races and Powers to the game, each designed by one of our Kickstarter’s backers. The Royal Bonus, also including three new Races and Powers, will be available as a retail version (until now it was only available in English or as a digital component). New game strategies await you with these expansions. But wait, there’s more! 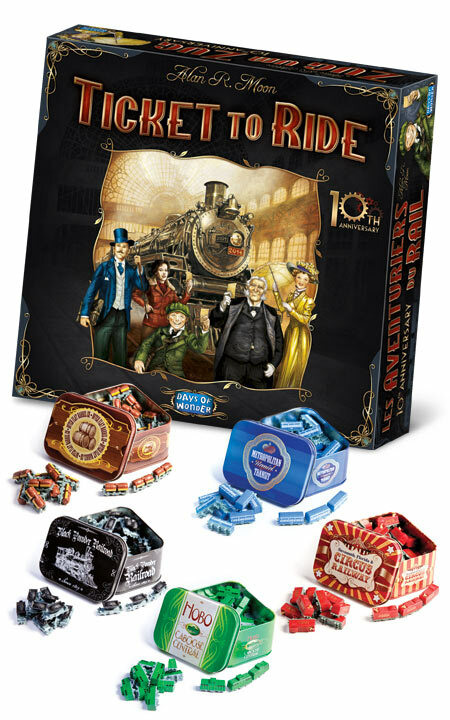 2014 marks the tenth anniversary of Ticket to Ride, the famous 2004 Spiel des Jahres winner. The luxurious Ticket to Ride: 10th Anniversary Edition features a giant US board map that is 50% larger than the original. It still uses the classic US routes, but with new illustrations and design. It also includes five sets of finely sculpted, custom plastic trains, each featuring a different type of train car and unique paint scheme reminiscent of toy trains of yesteryear. A must-have for every Ticket to Ride fan! 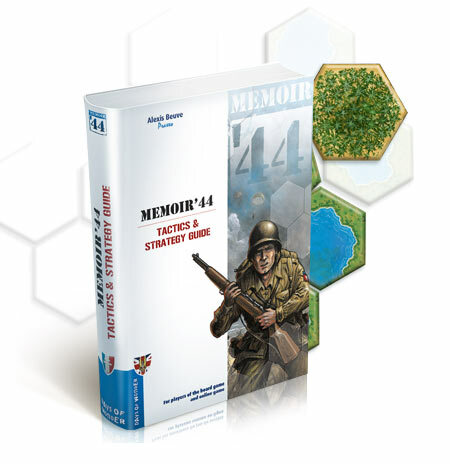 Of course, we do not forget Memoir’ 44 fans. The Tactics & Strategy Guide, written by Praxeo (a long-time Memoir ’44 player and author of several books), will be available in English at our booth. This 512-page book will help you to improve your skills on the battlefield. Don’t hesitate to come and say hello – we will gladly welcome you at our booth 3-E102. See you soon! This entry was posted on Tuesday, October 14th, 2014 at 09:12 and is filed under Events, Games, News. You can follow any responses to this entry through the RSS 2.0 feed. Both comments and pings are currently closed. When will the Tactics and strategy book (English version) be available to buy on your web site.